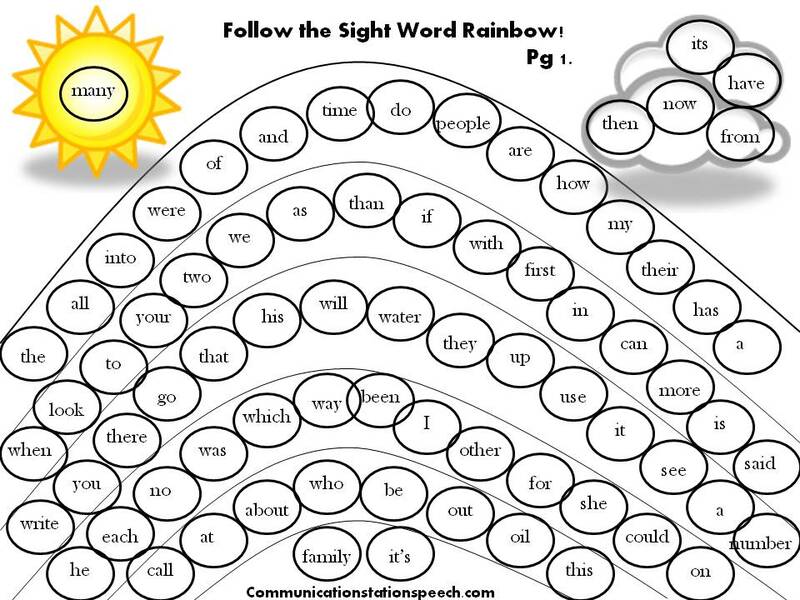 FREEBIE Friday: Follow the Sight Word Rainbow! Last year I shared my “Follow the Artic Rainbow” freebie in honor of St. Patrick’s day. 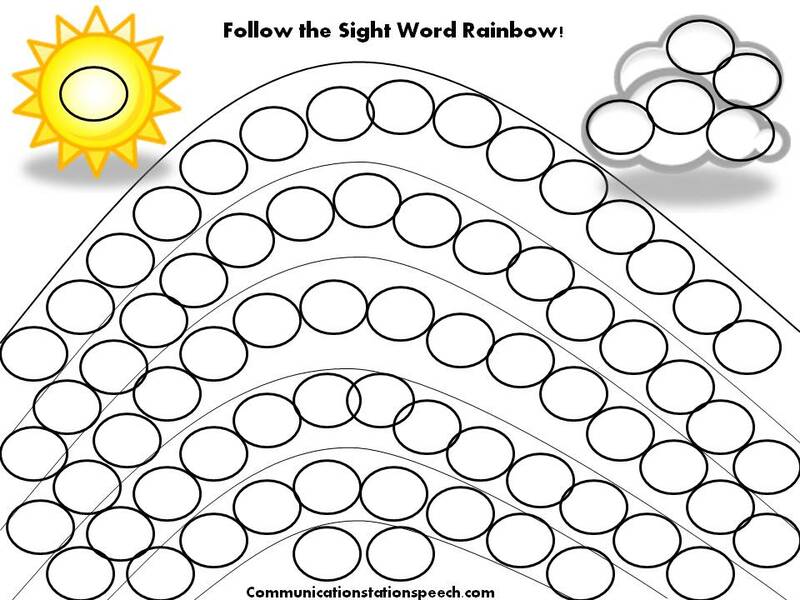 This year I make a few adjustments to this activity to create the “Follow the Sight Word Rainbow!” packet. Although I didn’t get it posted prior to St. Patrick’s day, rainbows are fun to enjoy throughout spring so I hope you can use this little goodie as well. 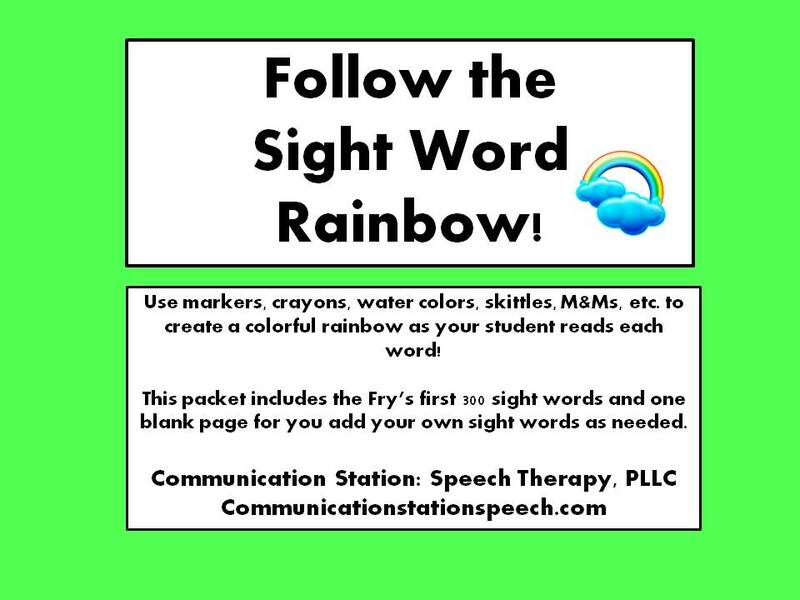 This packet includes the first 300 words from Fry’s list as well as an additional blank template for you to add your own words as you would like. There are a total of 8 pages in this packet and I am sharing a preview with you below. So check it out! Check it out below and grab it here! Enjoy! Happy reading and talking!